Devang is a serial entrepreneur with 25+ years of experience in delivering enterprise web applications and implementing ERP/CRM. In 1996, Devang founded Paradigm Consulting, a premier Oracle and web development firm, which he led to acquisition in 2010. Devang is a proud alumnus of Accenture and Deloitte Consulting. 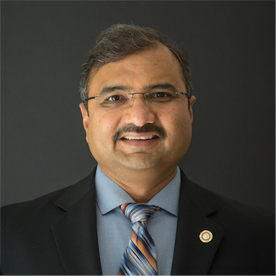 He holds a bachelor’s degree in Computer Engineering from India and a master’s degree in Computer Science from University of Texas at Austin (Rotary Foundation Scholar). Education of underserved students in rural India is Devang’s passion, and he loves to work with Rotary on this front. During breaks, he enjoys hiking in national parks with his family. 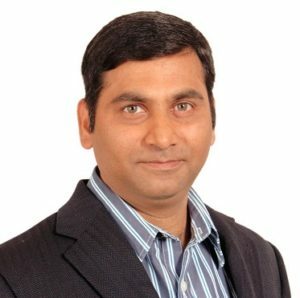 Anand leads India operations and brings 20+ years of experience delivering enterprise application services to delighted customers across the globe. Anand comes to Cloud Paradigm as a Silicon Valley veteran, having worked for the unicorn startup Apttus, and Fortune 500 companies such as Cisco, Sun Microsystems, and Verizon in various capacities of product development, consulting and services delivery. Anand holds a master’s in Computer Science from Osmania University, Hyderabad, India, and a post-graduate diploma in International business and marketing from the USA.